Little, Brown and Company, 9780316167062, 448pp. 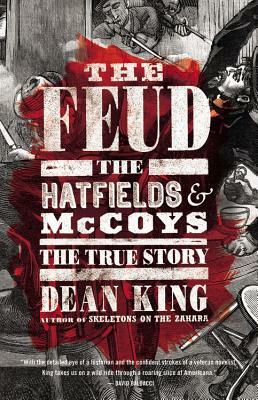 "Fast-paced....Scrupulously documented....The Feud is popular history as it ought to be written." "King's well-researched narrative confidently separates hearsay from fact, and bulges with bloody set pieces and visceral family passions which exploded into savage fighting that went on for nearly a decade." "Well-documented, authoritative, and entertaining....King has done an admirable job of research, and his able narrative matches the convoluted, bloody facts." "The definitive account of the feud...as riveting as it is informative."